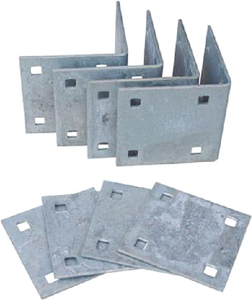 "For floating dock applications where an outside corner is not necessary. 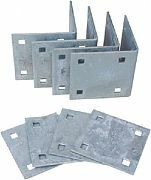 Includes 4 heavy duty inside corners and 4 backer plates. Requires 32 x 2-1/2"" x 1/2"" carriage bolts, lock washer and nuts (not included)." Size: "5"" x 5"" x 1/4"""